The 1920s is often referred to as either the “Jazz Age” in reference to the rise in popularity of jazz-inspired dance music or the “Roaring Twenties” as a nod to the continuing economic prosperity. F. Scott Fitzgerald published several novels capturing the essence of the era including “The Great Gatsby”. 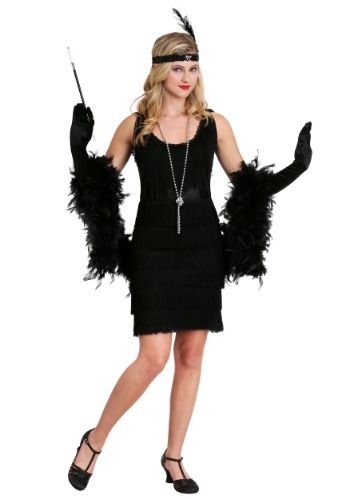 Flash back to this golden time in a 1920s costume and put on the Ritz in at your next Halloween or costume party. 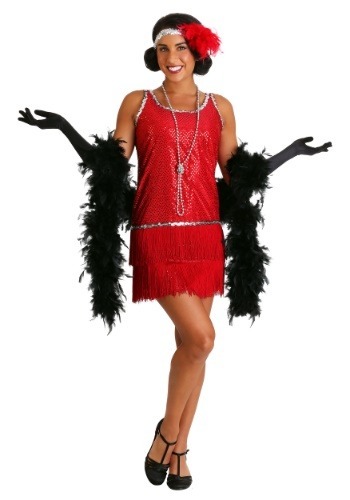 1920s costume ideas include the Flapper dress, a bold departure from the full skirts and buttoned up shirts of the previous decade. A flapperenjoyed showing off her new liberation with a boyish bobbed hair do and straight, shapeless dress that showed off legs and arms. Whether carousing in a speakeasy or swinging all night at a dance marathon, thoroughly modern 1920s gals sure knew how to have fun! Men can show their defiance of Prohibition by dressing up in a 1920s costume of a gangsterwith bootlegged liquor; add a toy shotgun and zoot suit people will know you mean business.